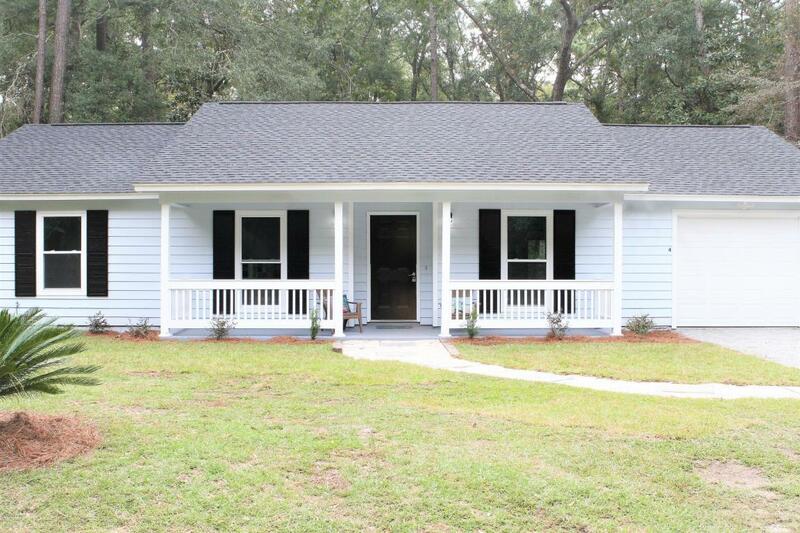 Newly renovated three bedroom two bath home in the very quiet and relaxing Attaway Marsh S/D of Lady's Island. Home is located on a very private, oversized, corner lot that backs to woods. There is even an outdoor shower. Very close to schools, golf courses and a public boat landing. All new improvements to the home within the last 30 days include: 30 year architectural roof, double hung vinyl windows and screens, exterior and interior paint, Coretec waterproof pine look floors throughout, all new brushed nickel electrical and plumbing fixtures, serviced and updated HVAC, new garage door and automatic opener, complete new kitchen incl Wolf cabinets w/shaker style doors and brushed nickel hardware, granite countertops, stainless steel Whirlpool appliances. Truly a must see renovation!